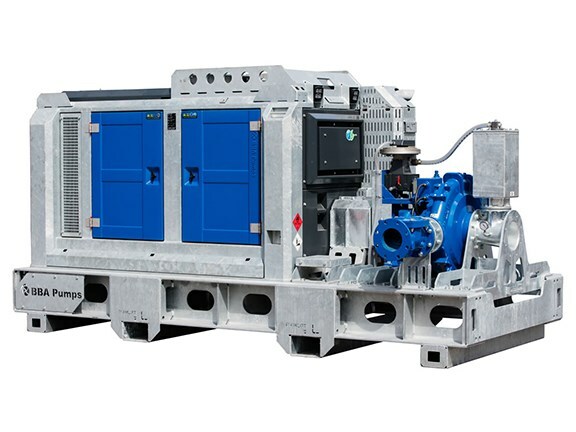 Dutch hydraulic pump manufacturers BBA Pumps has introduced a cleaner, quieter design concept for its mobile high-head and mining pumps engineered to meet the new EU Stage V emissions requirements set to be implemented from 2019. In order to meet the new emissions requirements, BBA Pumps began testing new concepts for pumps in the 100-400kW range. BBA says that, on top of using cleaner engines, the new pumps had to be as flexible and versatile as possible, leading to the pumps’ modular design. The company says users should first identify the specific jobs the pump will be needed for, and in which area they will be used. The pump’s engine module can then be selected based on the level of power needed. The engine module can be further customised to add an after-treatment system or AdBlue tank. To complete setup, the pump and engine modules are then placed on a leak-proof custom sub-frame. BBA Pumps recently announced a new deal with National Pump & Energy (NPE) for the latter to become the exclusive Australian supplier of BBA Pumps. "The Australian market is very important to us and partnering with a national supplier with a strong reputation for quality, such as NPE, reflects BBA Pumps commitment to providing our customers with an exceptional experience" BBA Pumps managing director Roland Berns says. 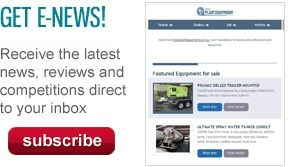 National Pump & Energy says it is happy with the addition to the company’s fleet of equipment. "The BBA Pumps are class leading in their design and performance" NPE managing director Rod Hayes says. "We are thrilled to be associated with BBA Pumps and look forward to providing the Australian market with these terrific pumps."